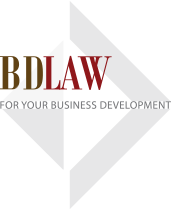 BD Lawyers’ mergers and acquisitions experience has seen us acting for purchasers and vendors, shareholders and boards in relation to acquisitions, divestments and reconstructions. 1. Investment Policy and Approach. Advise on appropriate approaches and solutions for implementation of the transactions. Assist clients in preparation and drafting of documents related to the transactions. Assist, advise in preparation of documents for negotiations, with legal suggestions and warnings from the negotiations. Assist clients to conduct due diligent legal study on company, corporate assets to be merged, acquired and provide legal recommendations, suggestions and warnings.